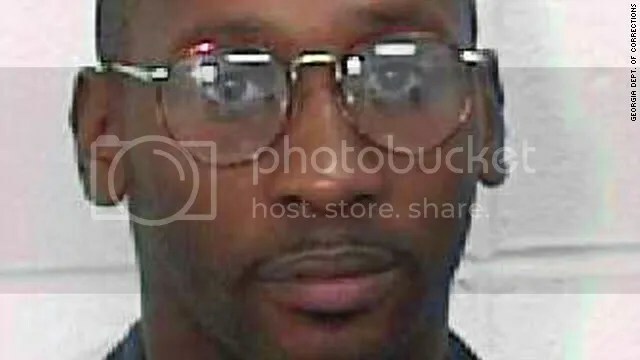 Minutes before he was scheduled to be executed, the execution of Troy Davis was delayed to allow time for the US Supreme Court to respond to a request by Davis’ lawyers to stay the execution. The Supreme Court has denied this request, and Troy Davis was executed just after 11:00 pm tonight. The death penalty becomes morally indefensible once the justice system begins executing innocent people. Proponents of the death penalty dismiss this possibility as a fantasy — earlier this month Rick Perry, who’s presided over 234 executions as governor of Texas, remarked that he’s “never struggled” with the possibility that Texas has executed an innocent man “at all.” Unfortunately, this is ridiculous: Governor Perry has almost certainly presided over the execution of an innocent man, and a pervasive racial bias in death penalty sentencing makes claims that the US justice system is unbiased patently ridiculous. Executions that are delayed literally at the last minute based on pervasive doubts about the condemned’s guilt is indicative of a system that fundamentally does not work. Of course, there are enormous issues with this list: the US reports all of its executions, while it’s silly to pretend that North Korea does. However, that doesn’t obscure the fundamental truth here: few democracies still execute their own citizens. Other than the United States, there’s only three other fully democratic governments on this list: Japan, Taiwan and Botswana. The United States should not be proud to share a distinction with some of the most oppressive dictatorships on the planet. Americans like to think of their country as exceptional. Unfortunately, in this case we are.